EssentOne Customer Service offers potent and practical Customer Relationship Management (CRM) tools to manage prospects, customers, opportunities, quotes, and sales fully integrated with other powerful EssentOne modules to provide an end-to-end Business Management System. EssentOne Customers is modern. EssentOne Customers lets you focus clearly on your customers by innovating the way you service their needs. EssentOne Customers can easily track thousands of customers with thousands of orders day-in and day-out. You can track both individuals and organizations. With organizations, multiple Departments, Contacts, Bill-To, Ship-To, and Market-To addresses can be maintained. You can easily record all critical information and quickly recall it at any time: customer preferences, defaults, notes, activities, opportunities, quotes, sales orders, and history are logically organized and linked to the customer. Create user-defined data elements, called Properties, to record the exact information you need. The result: Superior Customer Service. Fully integrated with EssentOne Inventory and the EssentOne Operations Management System, EssentOne Customers ensures the accuracy of all information on every order. From the Item ID, the product/service name, description, unit cost, total price, and customer requirements are referenced in the order. Major Features of EssentOne Customer Service (optional features also listed). Item Priced by Markup, Margin, Customer Class, Price Levels, Historical Pricing, Spot Market Pricing, Promotional Pricing, Alternate Pricing, or Contract Pricing. 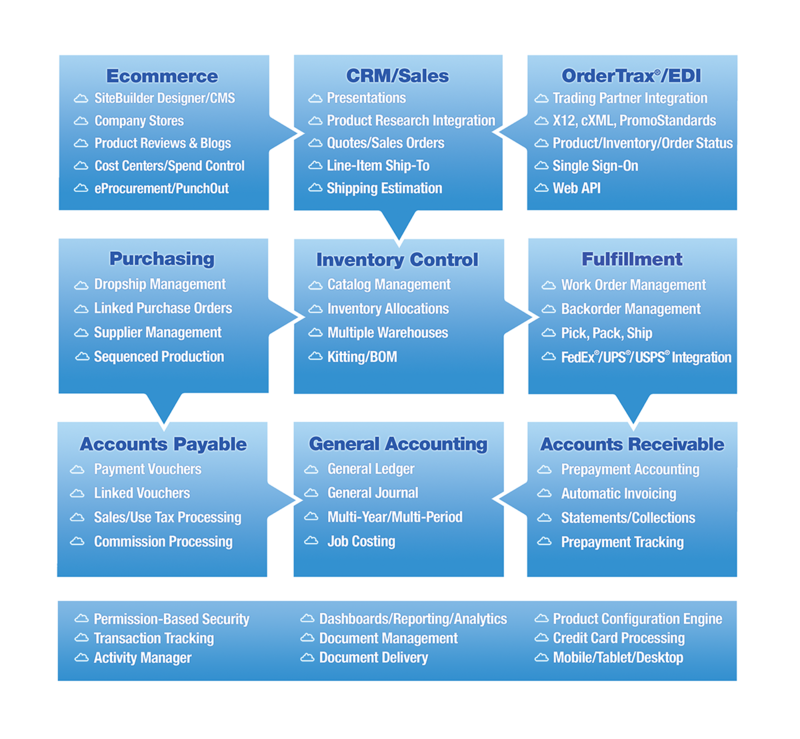 Customizable Workflow to control who, when, and how an order is processed. All customer information is logically organized and available at your fingertips, providing superior service to the customer and a pleasurable sales experience. More information available more quickly. Grow sales, increase profitability, and keep customers longer. Save time and reduce errors by eliminating redundant data entry. Customer history is automatically generated as a side-effect of doing business. Feature-rich sales management tools makes your sales force more productive and sales managers better informed. Proven state-of-the-art technologies mean that more reliable information is available faster and more often to more users.